Emma D. Pinder, a Colorado licensed attorney, graduated from the University of Wyoming College of Law, where she participated in various competitions and assisted low-income individuals. 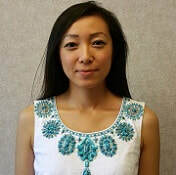 Born in Qingdao, China, Emma earned her Bachelor of Engineering degree from Dongbei University specializing in IT and business management. She then came to the United States and was awarded a master's degree with distinction from SUNY Potsdam in upstate New York. Prior to attending law school, Emma was an IT Developer and Project Manager in Wyoming for several years. Emma also earned her MBA degree from the Colorado State University. After her adventure in the IT field, Emma pursued her law degree to fulfill her full potential. As a Chinese-American, Emma speaks fluent Mandarin. She currently practices in the areas of general corporate and commercial matters, as well as real estate.